This qualification provides you with the skills to plan, develop, implement and monitor programs and services for older people in aged care facilities or through organisations that deliver services to the community and client homes. With this nationally recognised training you can also prepare for a supervisory or team leader role in the aged care industry. An investment in this training enhances your employability and career prospects while making a real difference to the wellbeing of others. If you hold a Certificate III in Individual Support there are only 8 further units to undertake. Support from our specialist trainers, 120 hours of practical (arranged by us), flexible delivery options so you can work and study at the same time which is very handy, our payment plans can help you reach your goal; and study support will assist you through your course. 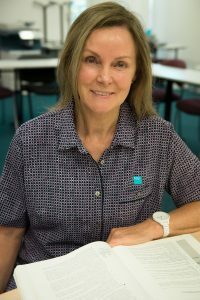 CHC43015 Certificate IV in Ageing Support is a pathway to CHC52015 Diploma of Community Services, HLT54115 Diploma of Nursing, Bachelor of Nursing, Bachelor of Social Work, Bachelor of Social Science, Associate Degree of Integrated Care in Ageing, Bachelor of Occupational Therapy.